I read this article and found it very interesting, thought it might be something for you. The article is called New Chairman and Vice Chairman of 8th Local Kathmandu Tibetan Assembly Sworn in and is located at https://tibet.net/2019/04/new-chairman-and-vice-chairman-of-8th-local-kathmandu-tibetan-assembly-sworn-in/. 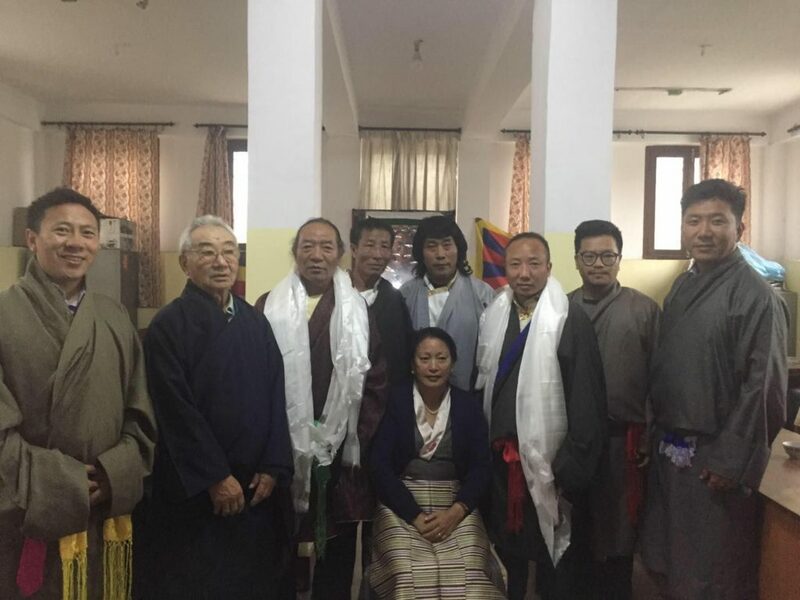 Former Joint Secretary and Acting Tibetan Local Justice Commissioner, Tsesum Lhamo with newly-elected Chairman Sonam Tashi, Vice Chairman Karma Pema and members of 8th Samdupling Tibetan Local Assembly. Kathmandu: As per request from Election Commission to hold an oath-taking ceremony in lieu of deceased Chairman and Vice Chairman of Samdupling Tibetan settlement in Nepal. Chief Justice Commissioner Kagyu Dhondup has appointed former Joint Secretary Tsesum Lhamo as acting Tibetan Local Justice Commissioner as per Tibetan Charter in Exile’s Article 69. 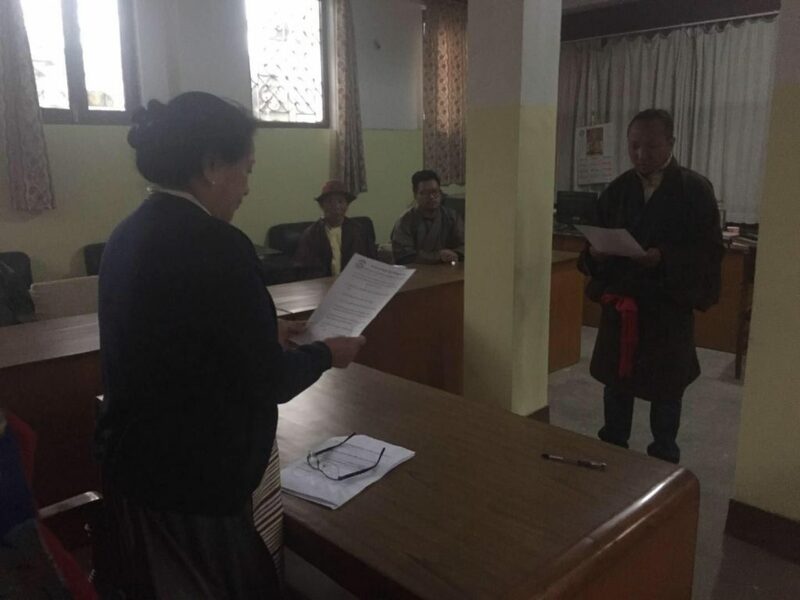 The new Chairman, Vice Chairman of the 8th Samdupling Local Tibetan Assembly were sworn in at a brief ceremony held on 6 April 2019. 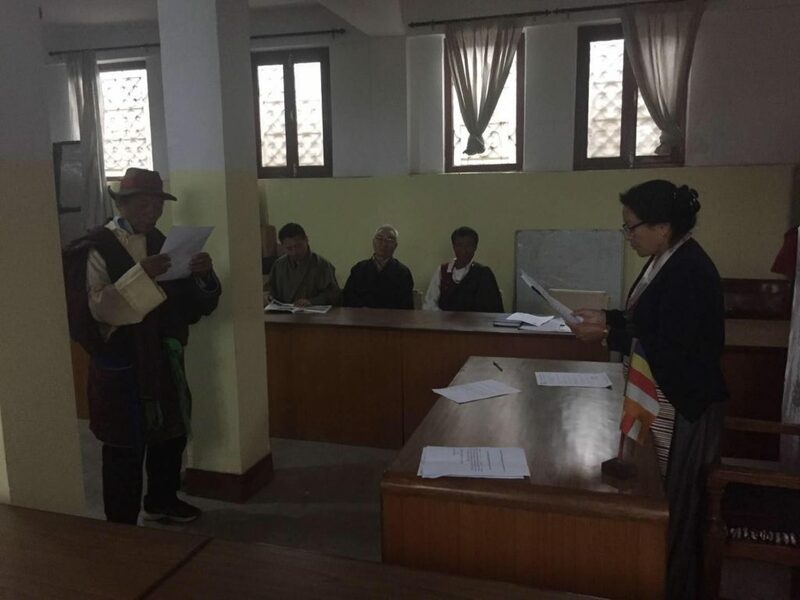 Former Joint Secretary and Acting Tibetan Local Justice Commissioner, Tsesum Lhamo administered the oath to newly-elected Chairman Sonam Tashi, Vice Chairman Karma Pema of 8th Samdupling Tibetan local assembly. Chairman Sonam Tashi, Vice Chairman Karma Pema of 8th Samdupling Tibetan local assembly taking an oath in front of Former Joint Secretary and Acting Tibetan Local Justice Commissioner, Tsesum Lhamo.